NASCAR Xfinity Series- After an amazing part-time debut for Joe Gibbs Racing in 2017, Ryan returned to JGR part-time again in 2018 and it would be a year to remember for the 27 year old. In his third start of 2018 in the Rheem Toyota Ryan would win the Fitzgerald 300 at Bristol Motor Speedway and earn the $100,000 payday as an Xfinity Dash 4 Cash eligible driver. In 15 starts for JGR in 2018, Ryan would finish in the Top Ten 10 different times (67%), Top Five 7 times (47%) and the big win at Bristol. 2018 would end with Ryan earning a full-time NASCAR Monster Energy Cup Series ride in 2019 with JTG Daugerty Racing, Kroger.com and Chevrolet. NASCAR Whelen Modified Tour- Another part-time season would be in the cards for Ryan in 2018 with his Ed & Connie Partridge owned #6 TS Haulers Troyer due to the Xfinity Series commitments. Making 11 starts in 2018 Ryan found victory lane 2 times in the most competitive regional touring series in the United States. The #6 team would win the most prestigious race of the season in the 47th Annual Spring Sizzler at Stafford Motor Speedway, it would be the 2nd consecutive Sizzler win for Ryan as he won the marquee event in 2017 as well. Ryan would go on to win at Langley Speedway in Virginia in dominating fashion by winning the pole, leading the most laps and winning the race. In all Ryan would post 7 Top 5 and Top 10 finishes in his 11 starts along with the two wins and finished an impressive 13th in the points despite missing 5 races due to Xfinity conflicts. NASCAR Whelen All-American Series- While unable to compete for any NWAAS track championships due to the expanded Xfinity Series scheduling conflicts Ryan was still able to pick up victories in 2 of the biggest NASCAR Whelen All-American Series races held in 2018. Ryan went to victory lane in February in the Richie Evans Memorial 100 at New Symrna Speedway and then picked up the $7,000 check for winning the prestigious Islip 300 modified event at Riverhead Raceway in June. 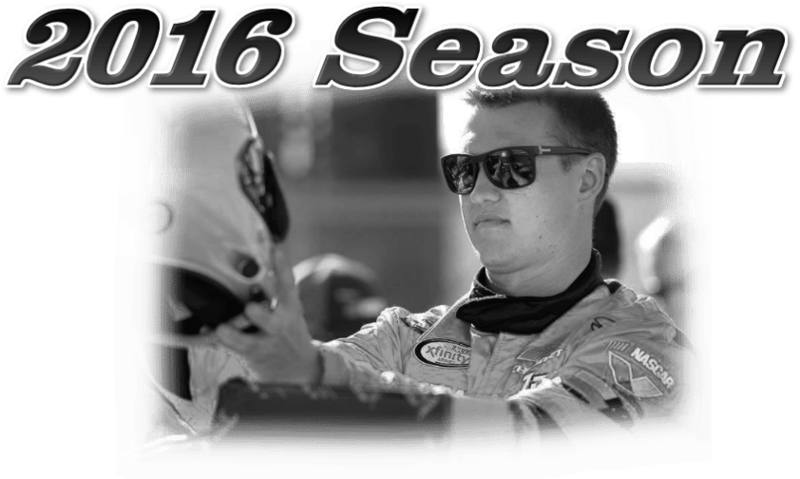 NASCAR Whelen Modified Tour- With his Xfinity Series schedule expanding, Ryan was able to compete in just 14 of the 16 races during the 2017 NWMT season. Despite missing 2 races, Ryan still amassed 5 wins, 12 Top 5s and 12 Top 10s. 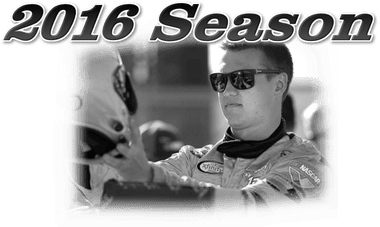 Ryan’s incredible 2017 season would earn car owners Ed and Connie Partridge the 2017 NASCAR Whelen Modified Tour Owner’s Championship, the first time in NASCAR Whelen Modified Tour history that an owner championship went to a team with a part-time driver. NASCAR Whelen All-American Series- Ryan began his 2017 season by winning a 3rd consecutive New Smyrna Speedweeks NASCAR Modified Championship in February. The TS Haulers team won the prestigious JBIII Memorial 76 as the highlight of that 2017 NSS championship run but it also included 4 Top 5 finishes in the 4 starts in stacked fields every night. At Thompson Speedway Ryan drove Al & Cathy Moniz’s Falmouth Ready-Mix #31 to another successful NWAAS season with 1 win, 4 Top 5s and 7 Top 10s in the 8 races scheduled for 2017. 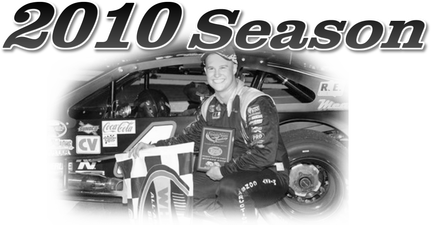 In very limited competition at Stafford Motor Speedway and Riverhead Raceway in 2017 Ryan was a constant contender and visitor of victory lane every time he entered an event. NASCAR K&N Pro Series East- Ryan drove the #31 Ted Marsh owned Chevrolet in 1 start in 2017, the Busch North Throwback 100 at Thompson Speedway. 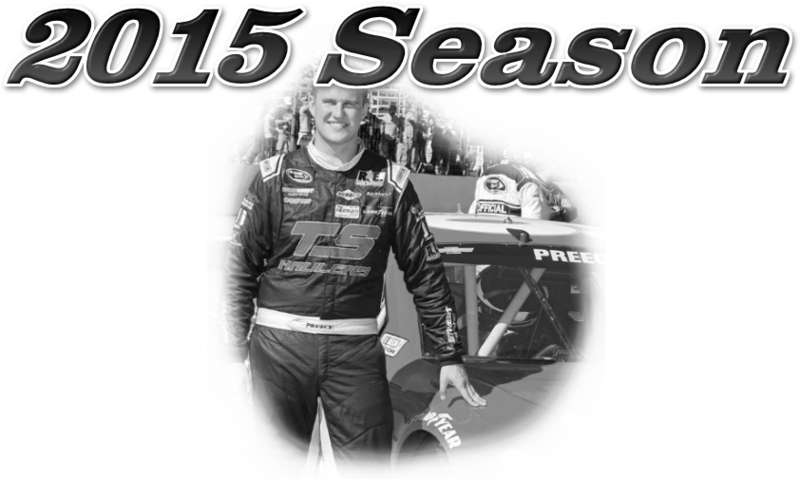 Preece finished 6th with the part-time team in a highly competitive battle up at the front of the field. Open Modified Events- Ryan and the TS Haulers #6 won 2 of 5 Modified Touring Series races held in 2017 with dominating victories at Monadnock Speedway in New Hampshire and Riverhead Raceway on Long Island, New York. NASCAR Xfinity Series- Ryan competed in his first full season in NASCAR’s second most prestigious series with the independent JD Motorsports organization in 2016. After 33 starts, Ryan and his #01 team finished the 2016 NASCAR Xfinity Series season ranked 17th in points out of the 84 drivers that raced for points in 2016. Ryan took his independent team to an impressive 10th place finish at one of racing’s most difficult and historic speedways, Darlington Raceway on September 3rd, 2016 after starting the race in the 22nd position. The incredible Darlington performance came on the heels of another head-turning run just a week prior at the legendary Road America road course event, Ryan ran as high as the top 5 and finished 11th at Road America in a race that was competed in the pouring rain for nearly all of the 2.5 hour event. Ryan had very successful rookie campaign in one of NASCAR’s elite series, finishing 4th in the rookie of the year title chase behind Joe Gibbs Racing’s Erik Jones (1st), Chip Ganassi Racing’s Brennan Poole (2nd) and Richard Childress Racing’s Brandon Jones (3rd). Ryan and his JD Motorsports team also led laps in 2 events in 2016, leading in their 5th start of the year at Fontana as well as leading 2 laps at Chicagoland in September. NASCAR Whelen Modified Tour- Competing on a part-time basis in 2016 for Eddie and Connie Partridge’s #6 TS Haulers machine, Ryan was still able to amass an impressive season of work. Ryan and the #6 team would finish Top 10 in 75% of the 8 NWMT races that they ran in 2016 despite having to start at the rear of the field in many events due to his NASCAR Xfinity Series schedule. In spite of only making 8 starts, Ryan was still able to lead the 4th most laps of any driver in 2016 NWMT action by leading 208 laps. Thompson Speedway- Ryan earned 4 victories in the 2016 Thompson Sunoco Modified season with his Al and Cathy Moniz owned #31 team, bringing him to 7th all-time in the Thompson Speedway Modified win list. Ryan now sits just 1 win behind the legendary Geoff Bodine and 4 wins behind NASCAR Hall of Famer Richie Evans. The Falmouth Ready-Mix team finished the 2016 season ranked 2nd in the point standings after winning the prestigious Sunoco World Series Modified event. Ryan won the final 3 consecutive events after a tough luck start to the 2016 season. NASCAR Whelen All-American Series- The TS Haulers driver kicked off his 2016 season by competing in and winning the New Smyrna Speedweeks (New Smyrna, Florida) NWAAS modified championship in February. In 4 starts, Ryan had 2 wins and 2 second-place finishes on his way to the 2016 Speedweeks championship. Ryan also made a NWAAS start in the finale at the New London-Waterford Speedbowl and in his only start of the season he took his #40 to victory lane, earning the $5000 pay day for winning the 75-lap Modified Nationals. NASCAR Whelen Southern Modified Tour- Ryan had 2 NWSMT starts in 2016, picking up a victory at Charlotte Motor Speedway in Gary Putnum’s #77 Curb Records machine in October. Ryan also had a start at Concord Speedway where he qualified his #6 TS Haulers Chevrolet in 3rd place and led 50 laps before encountering mechanical issues. In his 2 starts in 2016, Ryan led 99 of 299 laps he ran. NASCAR K&N Pro Series East- In the 2016 season opening K&N East Series event at New Smyrna Speedway, Ryan drove his #31 Ted Marsh owned Chevrolet in impressive fashion by charging from his 21st starting position to finish the race in 7th place. Ryan would make one more K&N start at New Hampshire Motor Speedway in July and would go on to finish in 9th place after starting from the 12th starting spot. Open Modified Events- Ryan and his TS Haulers team were perfect in 2016 one-off open modified events. The #6 team started their season by winning the $2000 purse in the inaugural Bronson Speedway open modified 50 lap event in Florida in February of 2016. Ryan would continue his 2016 open modified winning ways by earning the $15,000 purse for winning the inaugural Winchester 200 at Monadnock Speedway in May of 2016. NASCAR Sprint Cup Series- Ryan made his debut in auto racing’s top series, the NASCAR Sprint Cup Series, at New Hampshire Motor Speedway in September of 2015. After a solid run at NHMS, Ryan secured the ride with the Premium Motorsports #98 team for the final 4 races of the 2015 NASCAR Sprint Cup Series season at Martinsville, Texas, Phoenix and Homestead-Miami. 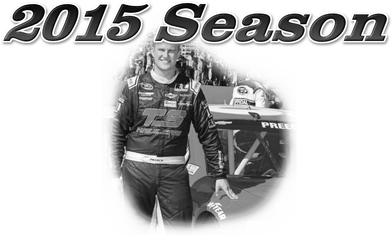 Whelen Modified Tour- In his inaugural season with Eddie and Connie Partridge’s TS Haulers team, Ryan challenged for the 2015 NWMT Championship all season long and finished 2nd in the final 2015 season standings. Ryan and the #6 team were a force to be reckoned with everywhere they raced and were the winning team 4 times during the 2015 NWMT season. Wins in back to back races at Waterford and Stafford were followed by another win at Stafford in August and arguably the most prestigious race of the NWMT season at Bristol Motor Speedway on August 19th, 2015. In 15 starts in 2015, Ryan and the TS Haulers/East West Marine machine led a total of 589 laps, 4 victories, 7 top 5’s, 14 top 10 finishes and ran 2268 laps of the possible 2270 laps scheduled for the entire season, giving Ryan and the team one the most consistent seasons in series history. Stafford Motor Speedway- Finished the season with a third straight runner-up finish in the 2015 Stafford SK Modified standings. Despite coming up just short for the 3rd season in a row for the championship, Ryan and the Mike Paquette led team were able to take home the largest payout in SK Modified racing history by winning the 2015 edition of Stafford’s SK5K event and pocketing more than $12,000 in winnings and bonuses. Thompson Speedway- Finished the season with a 2nd place season standing. Ryan earned 5 victories throughout the 2015 Thompson Sunoco Modified season with his Al and Cathy Moniz owned #31 team and moved ahead of Bugs Stevens in modified wins all-time at Thompson Speedway with now 23 career wins. Riverhead Raceway- Running part-time with two different teams, Bill Park's #20 team and his NWMT TS Haulers #6 team, Ryan earned 4 victories, 14 top 5’s and 16 top 10’s in 16 starts thru the 2015 season. In his 16 starts, Ryan had an average finish of 2.88 and led 33% of all laps run with 145 laps led in 2015. Whelen Southern Modified Tour- Ryan made 5 NWSMT starts earning 1 victory at South Boston Speedway driving Kevin Manion’s #98 Menards Chevrolet. Ryan also made starts for his Eddie Partridge owned team on the Southern Modified Tour and ended the season with 4 top 5 finishes in 5 starts while also earning 3 pole awards. Touring Modified Events- The TS Haulers/East West Marine team kicked off the 2015 season by dominating the Tour Modified portion of the New Smyrna Speedway World Series championship during Florida speedweeks winning 4 of 6 races held. Ryan and his #6 team also entered the 5-race Tri-Track Open Modified Series and brought home 1 top 5 finish, 4 top 10 finishes and completed 100% of laps raced in all TTOMS races. Also in 2015, the Eddie Partridge owned machine entered the Hickory Motor Speedway KOMA Unwind Tour event and placed a solid 6th place after winning the pole award for the event. Stafford Motor Speedway- Finished the season with a second straight runner-up finish in the 2014 Stafford SK Modified standings behind Stafford's all-time winningest champion, Ted Christopher. Despite missing the title by just a few markers, Ryan led the way with a staggering 6 victories and a total of 219 laps equating to leading 29% of all SK Modified laps raced in 2014 at Stafford. Thompson Speedway- Won a second Thompson Sunoco Modified Track Championship for his Falmouth Ready-Mix race team. Ryan won 3 races and earned top 10's in every single race held in 2014. By winning the 2014 modified title, Ryan joins Richie Evans, Ted Christopher, Keith Rocco, Bugs Stevens, Fred DeSarro, Mike Christopher, Todd Ceravolo and Kerry Malone as the only multi-time modified champions in Thompson's 74 year history. Touring Modified Events- Earned his 2nd career North South Shootout title in his first race with TS Haulers racing in November of 2014 at Caraway Speedway in North Carolina. Ryan also entered the newly formed Tri-Track series with the legendary Boehler Racing Enterprises and "Ole Blue". In those 3 starts, Ryan had 2nd place finish in the first event at Lee USA Speedway and was plagued with mechanical woes in other events. Riverhead Raceway- Despite only racing a part-time schedule for Bill Park's #20 team, Ryan was able to win the coveted Cromarty Cup as well as earning 2 other victories on his way to a 3rd place finish in the season standings in Riverhead's modified division. Ryan made only 19 starts of the 24 races held, and in those 19 starts Ryan showed why he is a threat everywhere he races, by earning 16 top 5 finishes and 19 top 10's and having the best average finish of all drivers at Riverhead in 2014 with an average finish of 3.32. NASCAR Nationwide Series- Finished a strong 14th place finish for Tommy Baldwin Racing in his second career start in one of NASCAR's top level divisions at New Hampshire Motor Speedway in July of 2014. After an impressive run at NHMS, Ryan added an additional NASCAR Nationwide Series start at the season finale Ford Ecoboost 200 in Miami, FL at Homestead-Miami Speedway and was able to finish the event despite a motor issue. Whelen Southern Modified Tour- Ryan made 3 starts in NASCAR's Whelen Southern Modified Tour and in all 3 starts he did so by starting from the pole position after earning the Coors Light Pole Award at every event entered in 2014. While several circumstances prevented Ryan from visiting victory lane in 2014 on the WSMT, the 2013 Whelen Modified Tour champ was still able to earn 1 top 5 and 2 top 10's in his 3 starts. 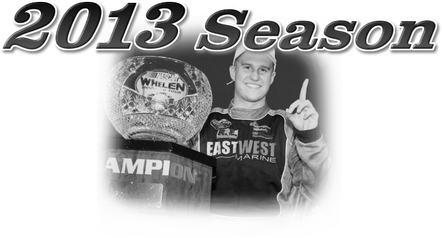 Whelen Modified Tour- Captured his first NASCAR Whelen Modified Tour Championship on the strength of four wins and 10 top-five finishes. At 22 years, 11 months and 25 days old, he became the youngest champion in tour history. Earned wins at a variety of different tracks including, Stafford in June, Waterford and both events at Riverhead. Stafford Motor Speedway- Finished the season 2nd in the standings just two points behind Woody Pitkat. Led all drivers in wins with 8 and Ryan moved into 10th in all-time SK wins at the famed ½ mile with 16 career wins. Thompson Speedway- Concluded the season with a 3rd place season standing. While top 5 consistency was the trademark of the season, Ryan did battle for a big victory in 2013. Valenti Modified Racing Series- Earned first career VMRS victory at Stafford in August. Made 5 starts in 2013 with 1 win, 2 top 5’s and 3 top 10’s. In 12 career starts, Ryan has a staggering career top 10 finish percentage of 67%, with 8 top 10 finishes in 12 starts. Riverhead Raceway- Made 16 starts at the tight ¼ mile and was able to reach victory lane 3 times. Ryan also scored 12 top 5 finishes and an incredible 15 top 10’s in 16 starts. NASCAR Nationwide Series- Made his debut in one of NASCAR’s top-tier divisions with a start at New Hampshire Motor Speedway in a Tommy Baldwin Racing prepared machine. He finished a respectable 24th in his debut, in a race that was won by Kyle Busch in dominating fashion. Whelen Southern Modified Tour- Won the prestigious Kevin Powell 199 at the famed Bowman Gray Stadium by leading every lap! 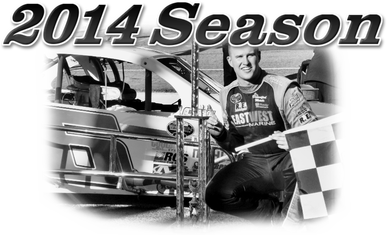 Ryan made three total starts on the WSMT in 2013 and won all 3 pole awards. He was also able to grab a 2nd place finish at Southern National. Engine troubles knocked him out of the lead at Charlotte after leading a race high, 138 laps of 150. Whelen Modified Tour- Finished as the championship runner-up for the second time in his career, 11 points behind Doug Coby. Won both quarter-mile track races, Monadnock and Riverhead, from the pole. Led the tour with a career-high six poles to take the season Coors Light Pole Award. Led more than double the laps of any driver, 687, and led laps in nine of 14 races. Stafford Motor Speedway- Battled to a solid 4th place finish in the final 2012 SK Modified standings, with 2 wins during the season. Valenti Modified Racing Series- In his only start in 2012, Ryan earned yet another impressive top 10 at Thompson. Riverhead Raceway- In 12 starts, Ryan visited victory lane 2 times and was tremendously consistent yet again with 4 top 5’s and 9 top 10’s during his part-time season. Whelen Southern Modified Tour- Earned top 5 qualifying positions in both of his 2 events in 2012. Finishing 11th at the “Madhouse” Bowman Gray Stadium and following that up with an impressive 2nd place finish at Charlotte at the end of the season. 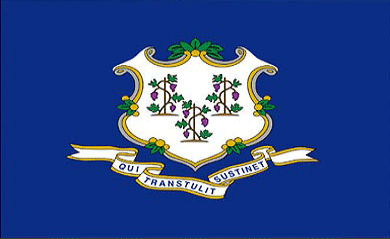 Whelen Modified Tour- Competed for four different teams and competed in 10 of 16 WMT events. Ryan posted five top 10’s, with a season best finish of a runner-up effort in the Stafford Fall Final. Ryan was able to earn 2 poles during his part-time season. Stafford Motor Speedway- Won first career SK Modified Championship with 8 trips to victory lane. Ryan also posted an astronomical 17 top 10 finishes during the 18 race events in 2011. Thompson Speedway- In his first full season of competition in the Sunoco Modified division, Ryan won 4 times. Whelen Modified Tour- Earned eight top 10's in 14 outings and finished sixth in the standings. Ryan was a three-time race runner-up which once again showed his ability in consistency. Stafford Motor Speedway- In his first full season in the SK division, Ryan finished the year 2nd in the standings and was able to capture the checkered flag for his first career SK win. He would finish the 21 race season with 13 top 5 finishes and 15 top 10’s. Valenti Modified Racing Series- Competed in 1 event in 2010 at Seekonk Speedway, where he started 22nd and was able to masterfully carve through the field and score another top 10 with a 7th place finish. Race of Champions- Finished 10th in his only start in 2010 at Oswego Speedway in the full 35 car field for the ROC 200. Whelen Modified Tour- Ryan was the championship runner-up on the strength of a tour-high 10 top-five finishes. The teenager recorded back-to-back wins at Riverhead and Stafford with poles at Riverhead and the September New Hampshire race. Modified Racing Series- Finished 5th in his only start of 2009, at Seekonk Speedway, after starting 12th. Whelen Modified Tour- Registered four top five finishes and seven top 10's in 16 starts and finished 10th in the point standings. Ryan earned his first career pole award at the Stafford Spring Sizzler and would top that by winning the pole and race winner in the Made In America Whelen 300 at Martinsville. Race of Champions- In two starts, Ryan finished in the top 10 twice, including a 3rd place finish at Thompson Speedway. 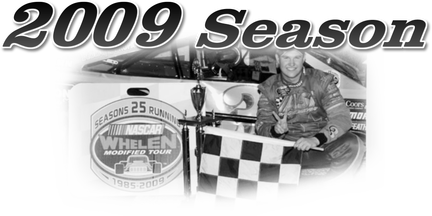 Whelen Modified Tour- Made 14 starts and finished 19th in the season standings during his rookie season. Whelen Southern Modified Tour- In his first career start, Ryan brought the family owned ride home to a 5th place finish at Caraway after starting 11th. Modified Racing Series- Earned an incredible 4th place finish in his first series start at Beech Ridge Motor Speedway. Ryan would be even better in his second career start when he would finish on the podium at Star Speedway with a 2nd place finish. Race of Champions- In the national event, the high school student was able to finish in a tremendous 5th place position in a race that saw 47 cars attempt to qualify and 40 feature starters. -Ryan earned a total of 6 top 5 finishes in a tour-type modified at Mountain Speedway at 14 years old. -Ryan started his racing career in quarter midgets, racing from ages 7-11 where he qualified for every national, compiled more than 150 weekly wins at Silver City Speedway. He was a 3-time JSCA Gasoline Alley National Champion, along with, winning a Jr Stock Grand National Championship, a Light B Tangerine Invitational Champion and the Light B Turkey Derby Champion.